Close to half (40%) of the adult population of the USA is expected to develop type 2 diabetes at some point during their lifetime, suggests a major study. The future looks even worse for some ethnic minority groups, with one in two (> 50%) Hispanic men and women and non-Hispanic black women predicted to develop the disease. Over the 26 years of study, the lifetime risk of developing type 2 diabetes for the average American 20-year-old rose from 20% for men and 27% for women in 1985-1989, to 40% for men and 39% for women in 2000-2011. The largest increases were in Hispanic men and women, and non-Hispanic black women, for whom lifetime risk now exceeds 50%. Primary prevention strategies are urgently needed. Excellent evidence has shown that diabetes can be prevented with lifestyle changes. However, provision of these interventions on an individual basis might not be sustainable. Only a population-based approach to prevention can address a problem of this magnitude. Prevention strategies should include optimization of urban planning, food-marketing policies, and work and school environments that enable individuals to make healthier lifestyle choices. With an increased focus on interventions aimed at children and their families, there might still be time to change the fate of our future generations by lowering their risk of type 2 diabetes. The world system has made carbs and starches very cheap and very accessible. This means that most people that live in the world will eat these foods because they are so available and so inexpensive. The world system has honed in on the pleasure of the taste buds and profiting from “feeding the flesh”. What this means is once you give the people a taste of sugar and starches (which turn into sugar), you have them hooked on a potent addictive substance. This means sales will always be high because people cannot do without it. The busier we become the less we take care of ourselves. Many people work long hours and some two jobs. They do not get enough sleep, they do not drink enough water, they get no exercise because they are working too much, they are stressed not only physically but mentally and they do not make proper food choices because when one is on the go, one will grab what is inexpensive and tastes good or should we say that it is a fleshly pleasure to the world trained taste buds? 2.You must master the mind and master the body. This is a must for every son or daughter of God. If you do not master them then they will surely master you. 3. 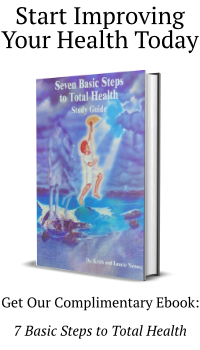 You must live 7 Basic Steps to Total Health every day of your life. 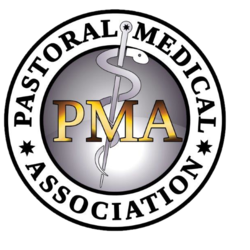 These are knowing how to breathe, drink enough water, eat the health promoting food, getting the restorative sleep, exercising for health, and living a life of fasting (from the standard American diet with a permanent Daniel fast) and prayer (training yourself to hear the voice of God speaking to your heart). It is never too late to make a change in your life, to stand up and fight even if you have never fought your whole life. You have a strong adversary who lives within you called the flesh, the old nature or the old man. It is not who you are but who you used to be, so it is up to you to stand up and take your position and fight against the flesh so you can walk in the Spirit and hear the Truth that God is speaking to your heart right now. Once you walk in who you ARE. There will be no more diabetes, no more heart disease, no more cancer, and no more disease at all. The journey starts with the first step and with the first fight against the flesh by saying “NO” I will not eat the world system’s food anymore no matter how good it tastes. Stand up today and fight the good fight and become who you ARE! Become who He created you to BE!